Step 3: Make sure you select option “WELLNESS ADVOCATE” . (This membership will give you 25% on all products but will NOT obligate you in any way to sell or buy.) Its by far the best value . Step 4: Fill out the top of the application with your personal details and enter your password for your own Virtual Office. This is where you will be able to place future orders , track past orders and more. CLICK CONTINUE . Step 5: . Select how you want to enroll. Most people choose an enrolment kit because they are priced lower than wholesale and a great way to start your collection (the enrollment fee is included in enrollment kit). Click to view the Enrollment Kits. You can also just pay the enrollment fee of $35 and then pick and choose what products you want to start out with. If you do not already have a bottle of Fractionated Coconut Oil we suggest to purchase a bottle now as it is essential when diluting the oils to apply topically. If you want to pick your own starter products just select the item(s) you want from the drop-down menu and enter a quantity. 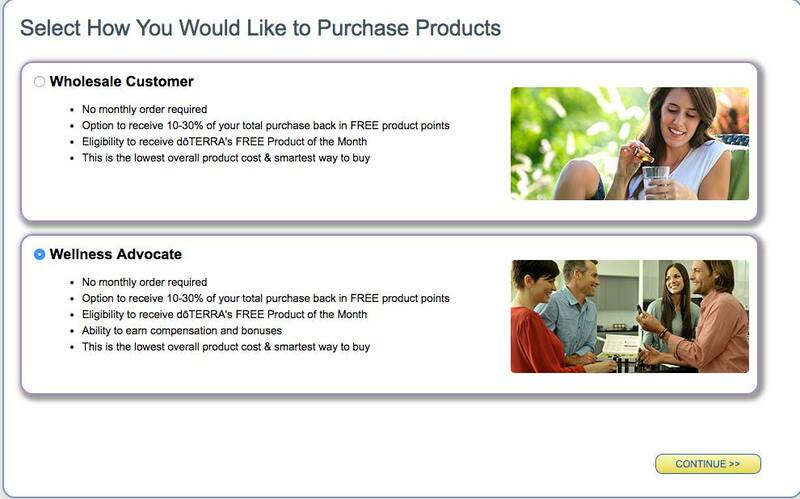 Step 6: Loyalty Rewards Offer – This is doTERRA’s monthly Loyalty Rewards Program. If you’d like to set up an order for next month, you are welcome to do so now! You can view the benefits of the program here: Loyalty Rewards Program. If you choose to not set it up now, you can always do it later if you decide you want to. There is no obligation to do so. Step 7 : Select continue and on the next page you will see an overview of your order and enter your payment information. Step 8: That's it !! Welcome to our Oily Team !! Upon successful submission of your application doTERRA will send you an email with your distributor ID and instructions on how to enter your Virtual Office. Once you enroll you'll receive a email from us with addresses to facebook closed groups , some helpful information , you'll be added to our special newsletter and will receive from time to time special offers that we supply for Lime Tree Kids doTERRA wholesale customers.